Умные часы, разработанные для поддержания здоровья и тонуса. In 2007, our founders, Eric and James, realized that sensors and wireless technology had advanced to a point where they could bring amazing experiences to fitness and health. They embarked on a journey to create a wearable product that would change the way we move. 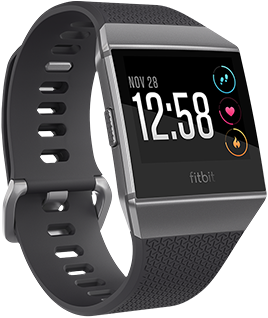 Fitbit are a passionate team dedicated to health and fitness and building products that help transform people's lives. While health can be serious business, they feel it doesn't have to be. They believe you're more likely to reach your goals if you're encouraged to have fun, smile, and feel empowered along the way. Their mission is to empower and inspire everyone to live a healthier, more active life. 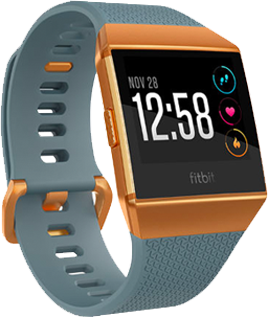 They design products and experiences that fit seamlessly into your life so you can achieve your health and fitness goals, whatever they may be.